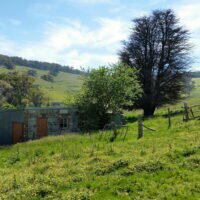 A fine walk through the rural scenery of Panton Hill, along Motschalls Track. With an optional leg to Rob Roy Hill Climb. 6km, 1.5 hours. A short one hour walk which loops around Couties Road and Kings Roads, Panton Hill. Includes the scenic Felix’s Wildflower Walk. A two hour walk which loops around Old Caledonia Gully and Black Cameron Road, St Andrews. 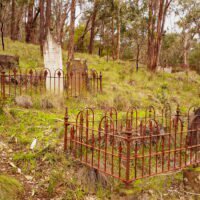 With an optional extension to Queenstown Cemetery. 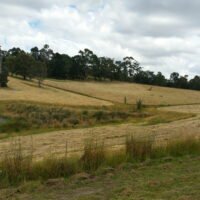 A fine two hour walk which loops around Smiths Gully Road and Rifle Range Road. A scenic walk around the hills of Research which takes just over half an hour. 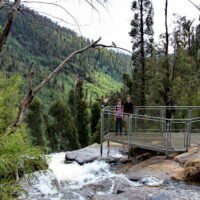 A walk not too far from Eltham, the wonderful Masons Falls Circuit in Kinglake West. 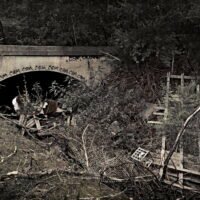 A fine easy walk which takes you along a path of historical discovery. 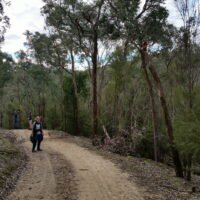 A walk which shows urban plants encroaching on the natural bushland. 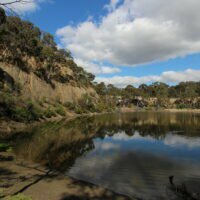 An excellent two to three hour walk near Clifford Dve and Bend of Isles, Warrandyte State Park.